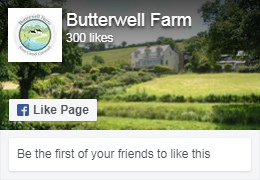 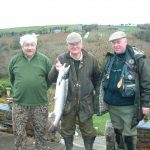 Butterwell Farm is the premier destination in the Southwest for sea trout and salmon game fishing. 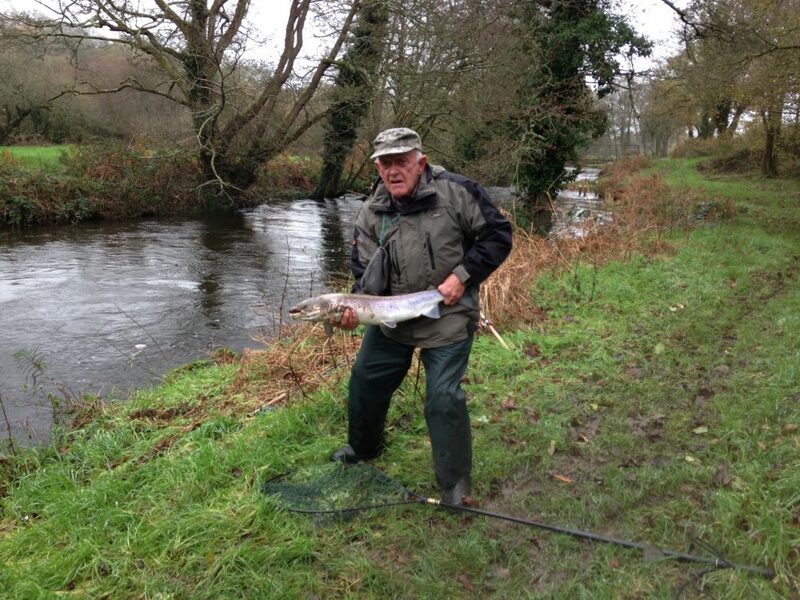 Our ten-year average catch is 45 Salmon and 104 Sea Trout per season. 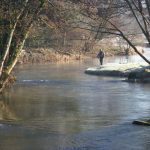 The fishing comprises of approximately half a mile of double bank water plus half a mile of single bank water with 18 holding pools. 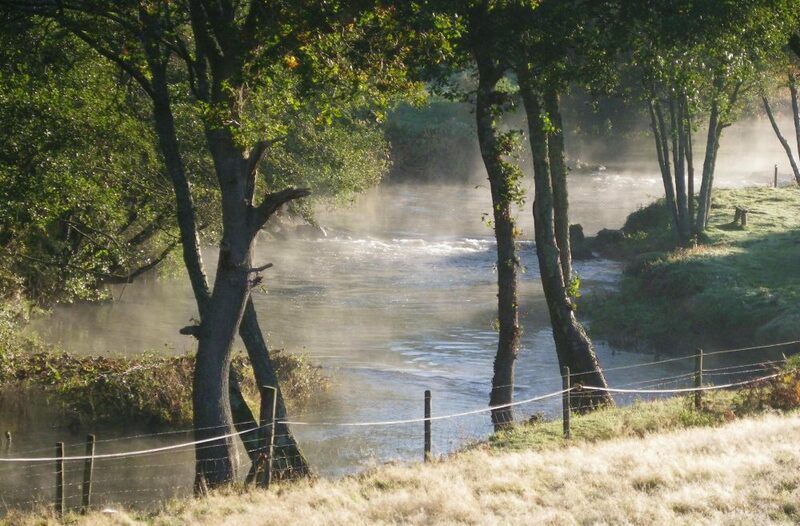 We have a maximum of 4 rods and the river is divided into equal beats daily depending on number of rods and conditions. 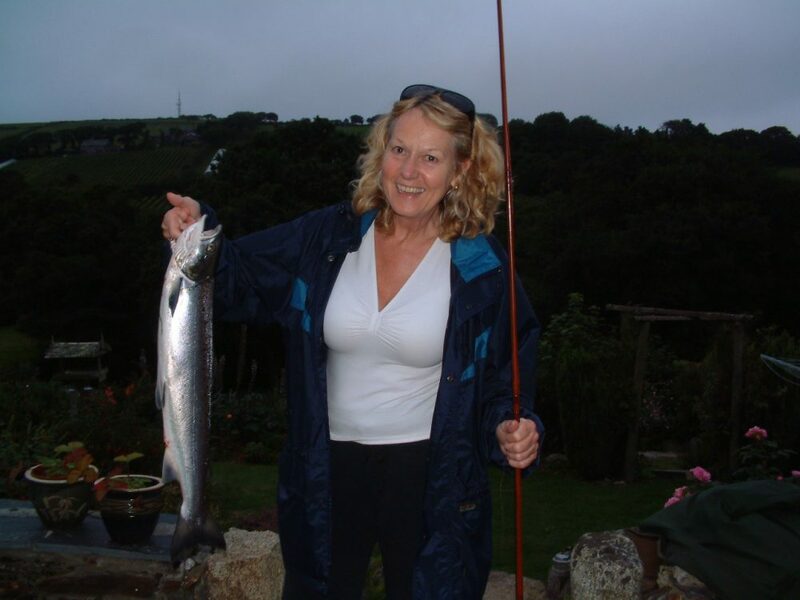 THE SEA TROUT SEASON runs from 1st May until 31st August which is typically night fly-fishing only. 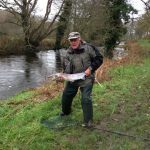 However if the water levels are high and other conditions permit, we can also allow daytime fly-fishing for Salmon and Sea Trout. 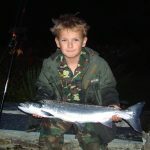 Once the water is low and clear, and a reasonable number of sea trout have gathered in the pools, fishing reverts to night fly-fishing ONLY for sea trout. 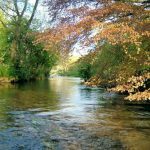 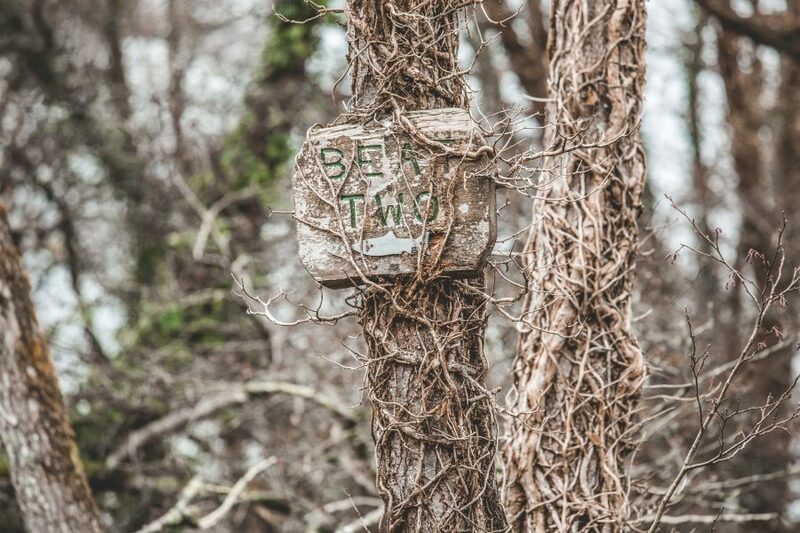 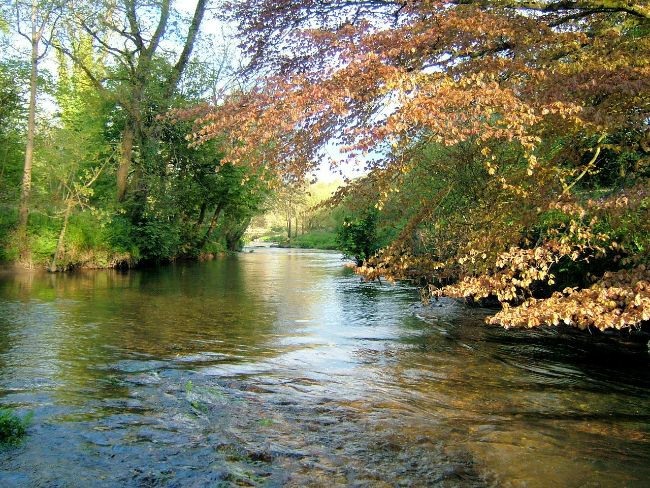 Guests booking this period should understand that conditions on the river will dictate the type of fishing permitted at short notice and at the owner’s discretion. 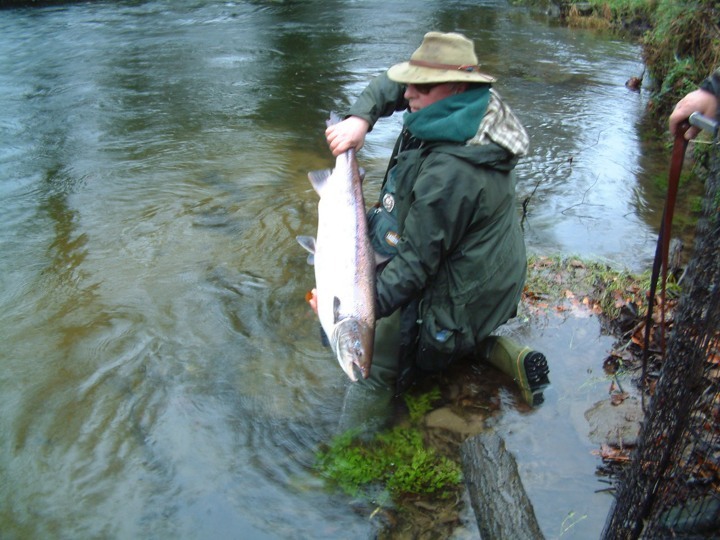 THE SALMON SEASON runs from 1st September until 15th December when we allow fly fishing, spinning and bait fishing by day. 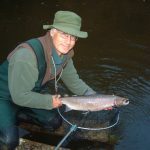 At the owner’s discretion, we also encourage night fly-fishing for Sea Trout in September if we continue to experience a late run of fresh fish. 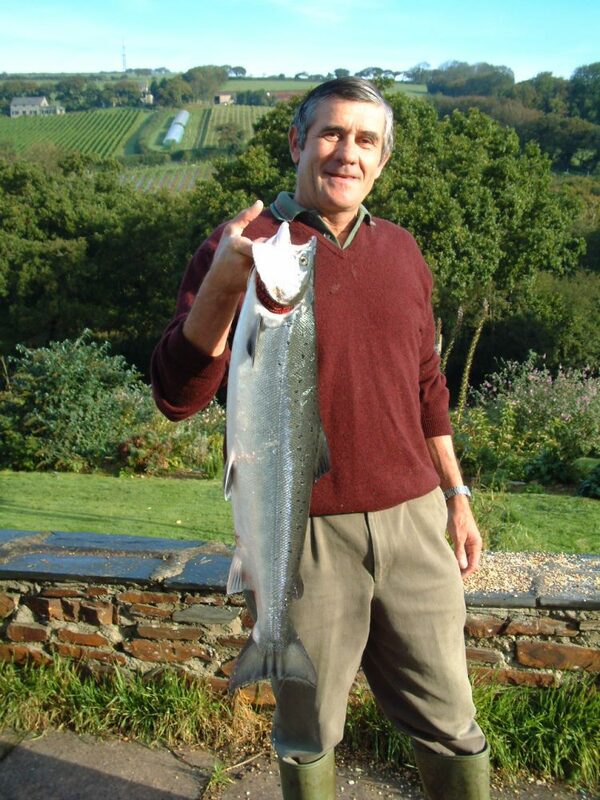 All Sea Trout over 3lb, and all those caught after 31st August, must be returned. 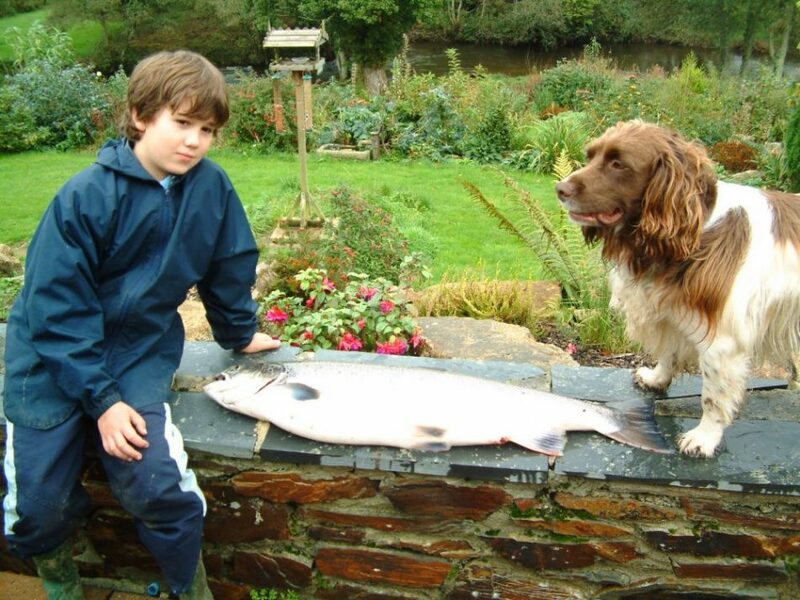 A maximum of 2 Sea Trout can be taken per day per angler. 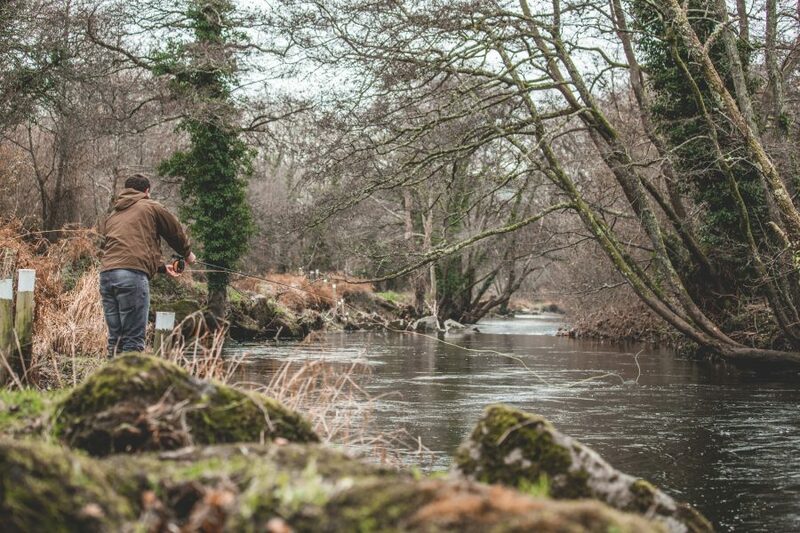 We like to do a beat walk with our fishermen to show them the river and also divide and rotate the beats equally and fairly depending on numbers, conditions and the dates you are fishing. 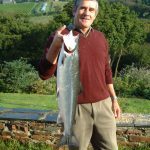 All anglers should hold a current E.A. 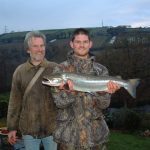 salmon and sea trout license. 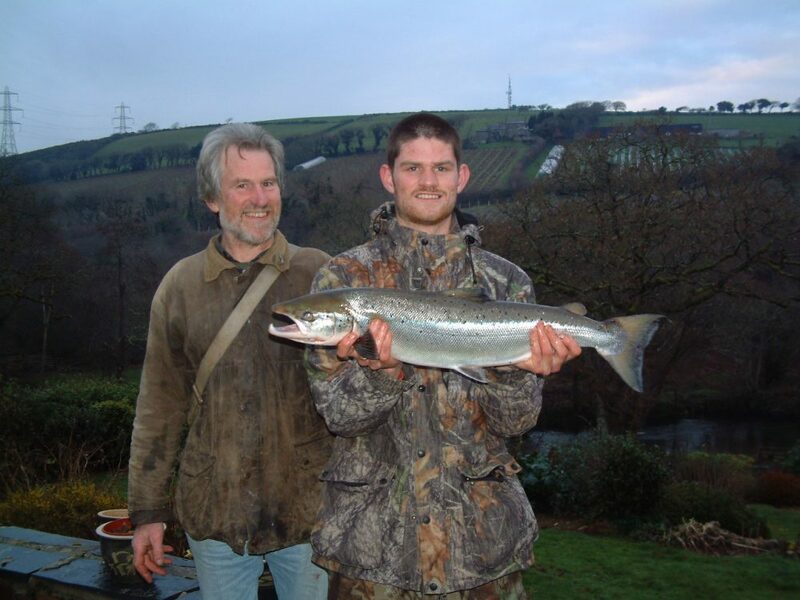 Anglers are also required to inform the owner of their catches so the record book can be updated. 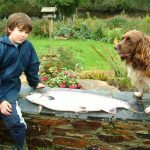 May and June: £30 per day or £150 for the week. 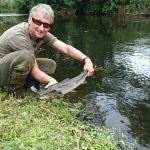 July to December: £40 per day or £200 for the week. 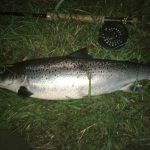 Most of our fishing is reserved for residents staying at Butterwell however we often have rods available to book as a day ticket. 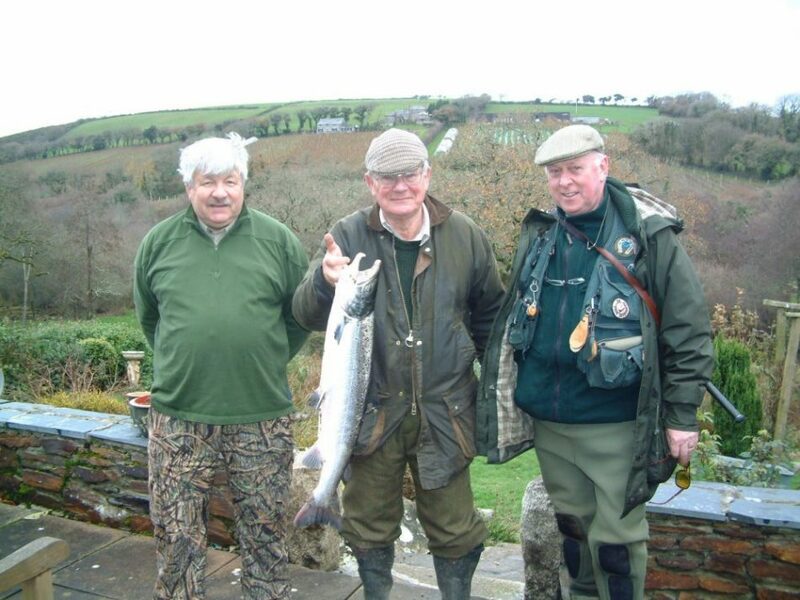 These rods are available to book no more than 2 days in advance – please contact us for more information. 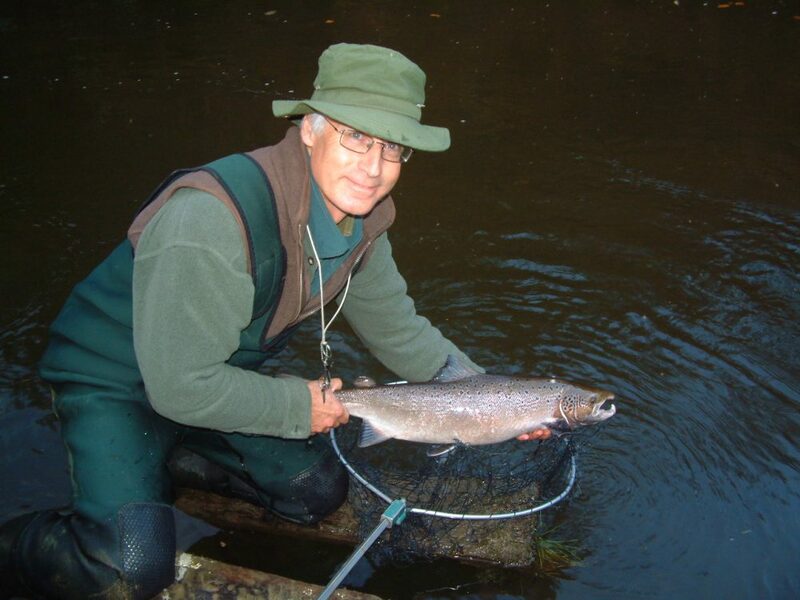 We also have a couple of ponds at Butterwell which are available for residents to fish free of charge. 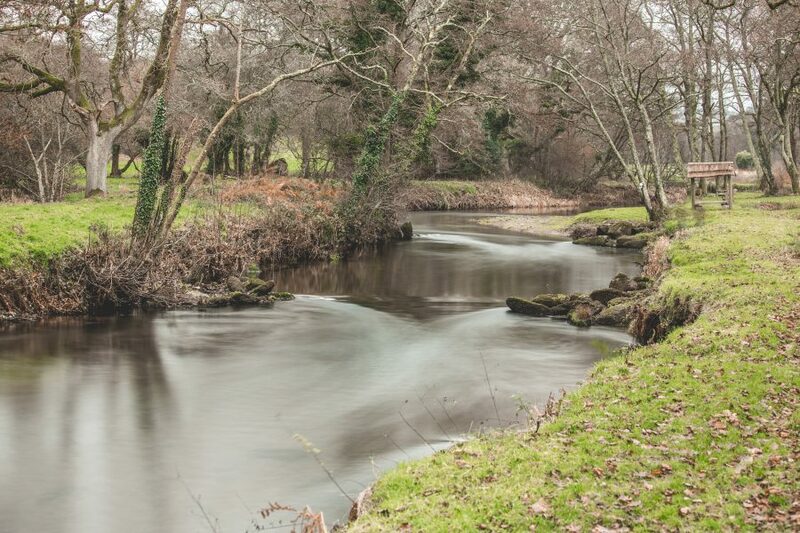 These ponds hold a variety of small fish including roach and rudd. 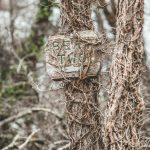 It is required by law that you hold a current E.A. 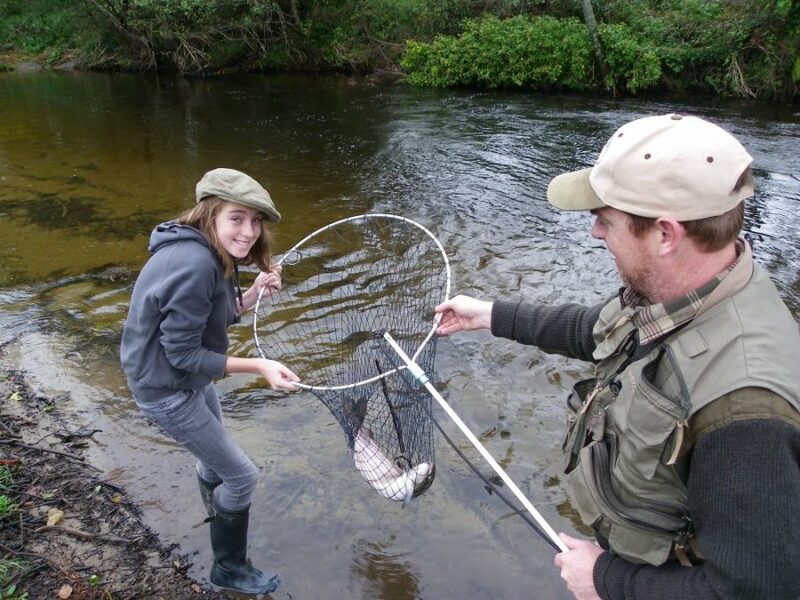 non-migratory trout and course license. 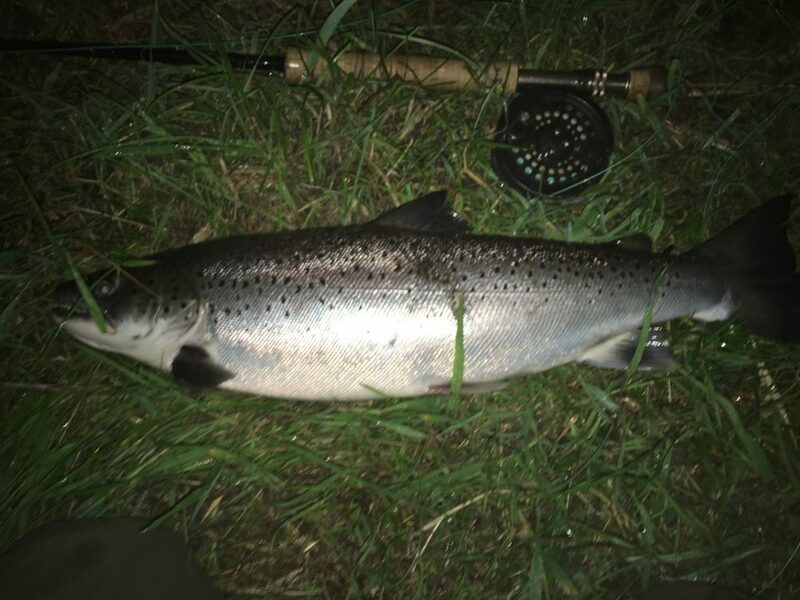 It is advisable that anglers are competent at casting before nighttime fly-fishing is attempted during the sea trout season (1st May to 31st August). 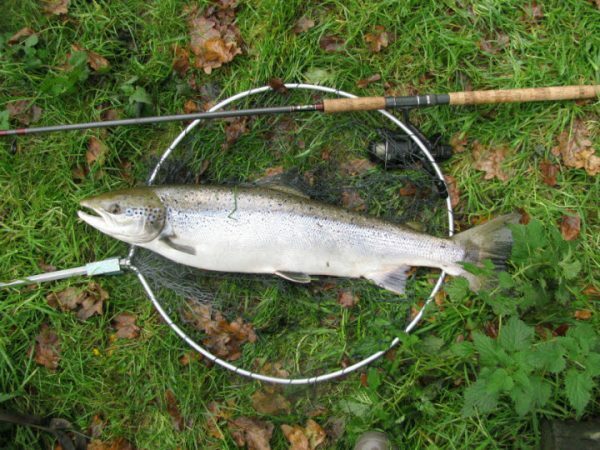 We offer an introduction to fly-fishing including the use of basic equipment and tackle. 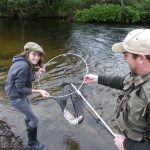 1-hour introduction to fly-fishing. 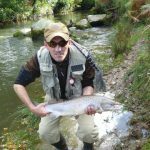 Theory, methods, tactics and handling of the fish. 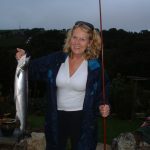 1-hour casting practice including back casting and possibly roll casting. 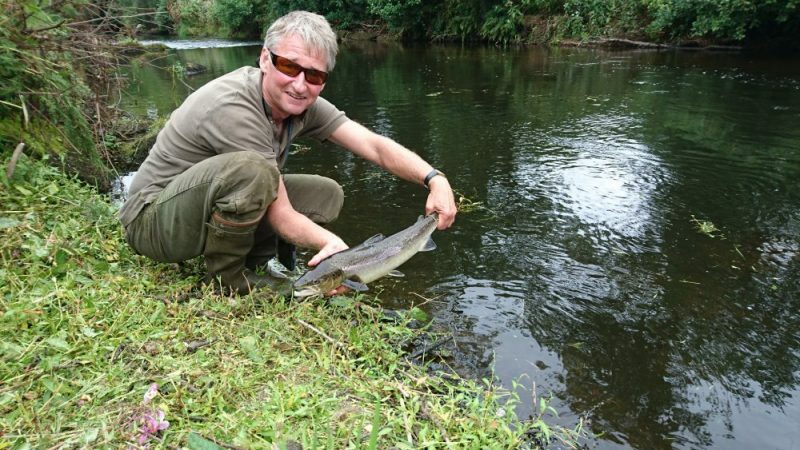 After which, if you’re feeling confident, it’s time to get on the river bank and practice your casting for real! 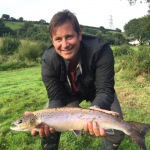 Please remember you will need to purchase a fishing license for £12 per day which you can do online on the day, unless you already hold a current EA Salmon and Sea Trout licence. 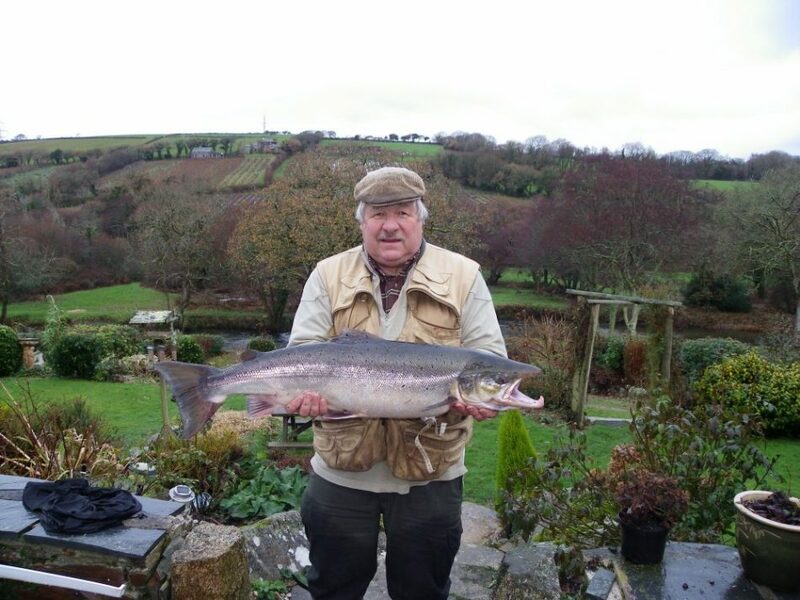 a) No person shall retain a salmon that has been taken by any rod and line within the River Camel catchment. 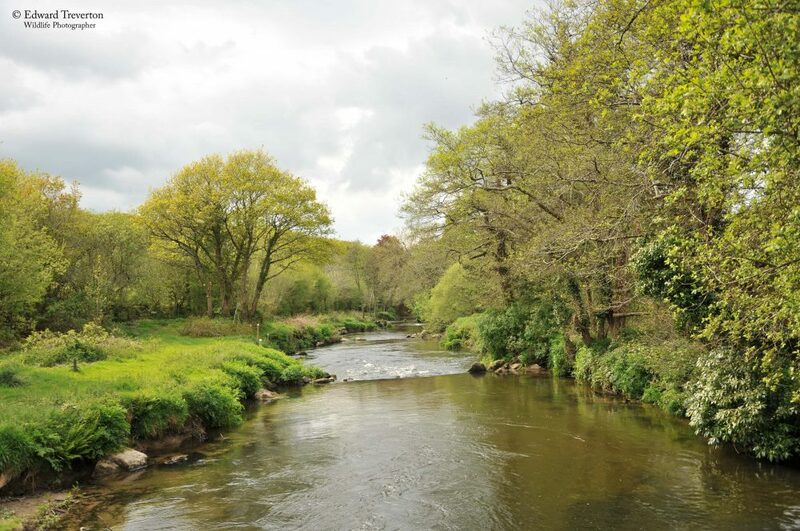 b) Any live or dead salmon taken from the waters of the River Camel catchment must be returned to the water immediately at the point of capture or removal with as little harm or injury as possible. 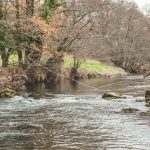 c) No person shall fish for salmon within the River Camel catchment with rod and line by means of any bait with the exception of prawn or shrimp using a single barbless hook with the gape of any such hook measured from the shank to the point being no greater than 8 millimetres. 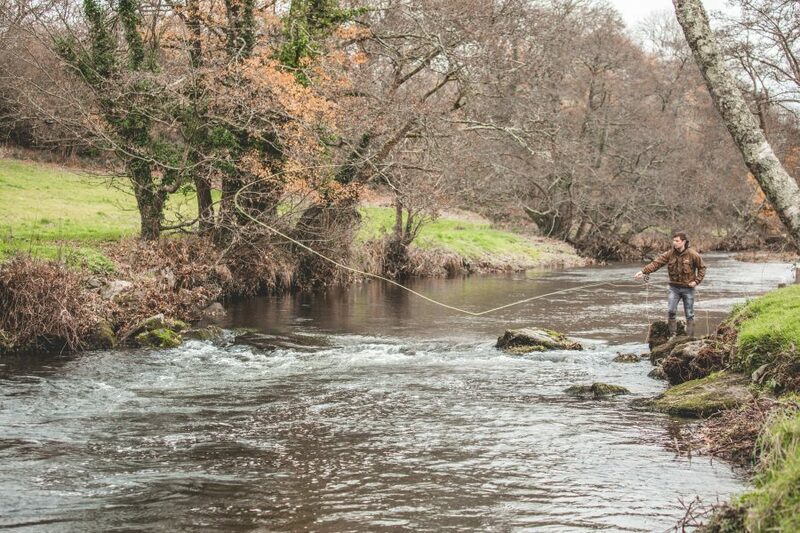 d) No person shall fish for, take or attempt to fish for or take any brown trout or sea trout with rod and line from the River Camel catchment by means of any bait furnished other than with a single worm baited on a single barbless or de-barbed hook with the gape of any such hook measured from the shank to the point being no greater than 8 millimetres. 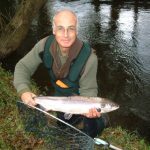 e) All artificial lures or spinners used for the capture of salmon, sea trout and brown trout must be fitted with single, barbless hooks. 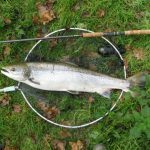 f) Hooks (singles, doubles and trebles) associated with the use of artificial flies used for the capture of salmon, sea trout or brown trout will not exceed a maximum hook gape size of greater than 8 millimetres from the shank to the point. 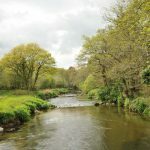 The River Camel rises on Bodmin Moor and flows some 25 miles down to the sea at Padstow on the North Coast of Cornwall. 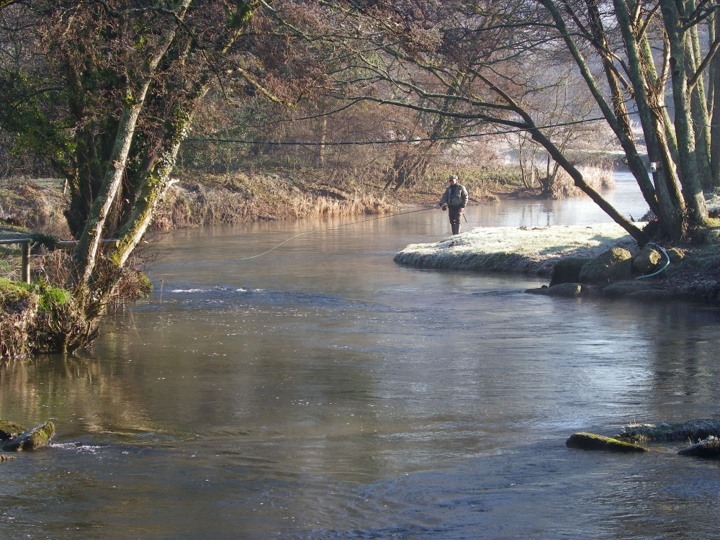 The Butterwell Fishery is approximately 1 mile above the tidal reaches. 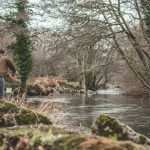 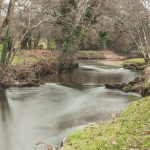 The river tumbles through rugged moorland and then through woodlands and forestry, which has kept it free of pollution and ensured the survival of large runs of sea trout and salmon. 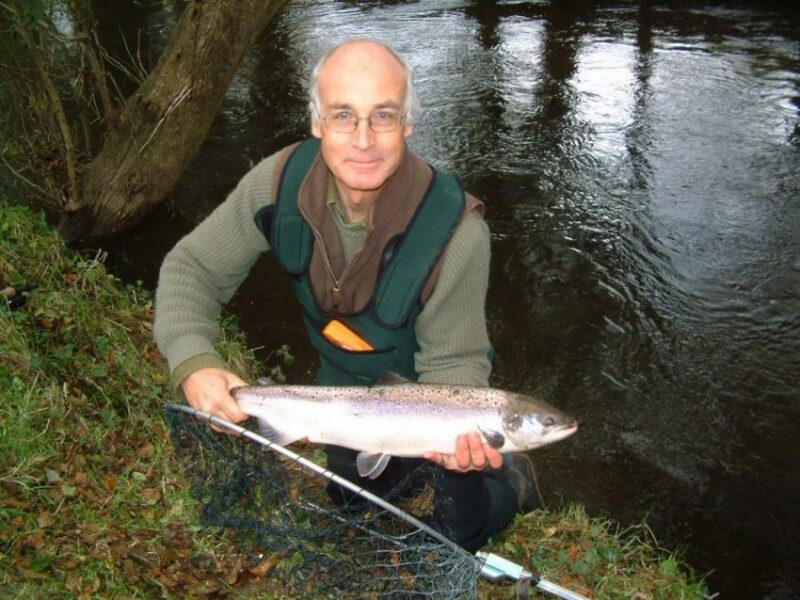 We have 18 pools at Butterwell, which are very popular for holding both sea trout and salmon. 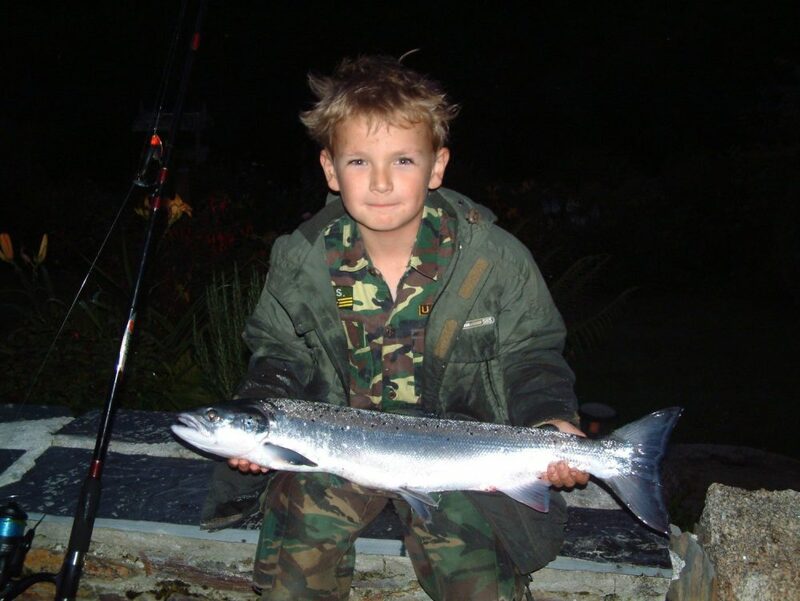 Butterwell is the premier fishery in the southwest for Sea Trout and Salmon. 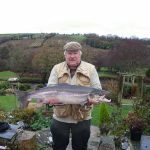 The fishing season starts at the beginning of May and we normally have a small run of largish Sea Trout (between 3-5 lbs) between May and June. 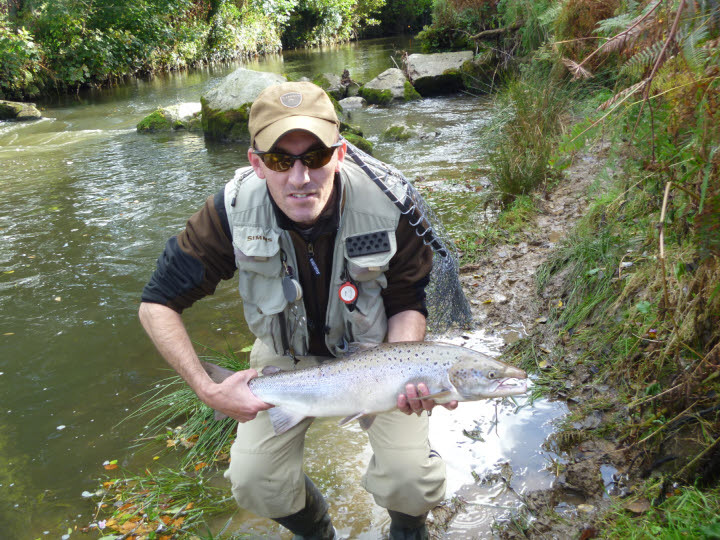 However, the main run of Sea Trout does not begin until June. 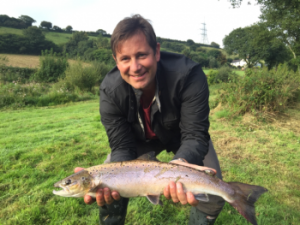 The Sea Trout fishing is usually the best in July and August but we have experienced a good run of fresh fish in September in the last few years. 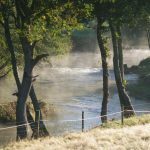 The first good runs of Salmon traditionally begin in September and, from then on, fresh salmon enter the river with every spate or even just on the high spring tides until late season closes on December 15th. 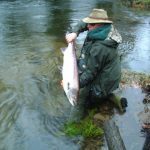 In the last few years we have also experienced early runs of multi winter Salmon in May and June and reduced runs in late season.